Guide Price 525,000 -550,000King & Chasemore are pleased to offer this once in a life time opportunity to purchase this chalet bungalow which has been updated and extended buy the current owners to an excellent standard through-out. From the roadside you will not realise the space, square footage and the quality behind the front door .The bi-fold patio door's open up to the garden bringing in the southerly sunshine. One of the many features is the gorgeous kitchen/dining and lounge areas. The lounge area has a beautiful log burner which is a true centre piece. On the ground floor there are 2 bedrooms and a separate wet room with under floor heating. The master bedroom is situated on the first floor with distant views of the cathedral and also boasts its own en-suite with under floor heating. Outside the rear garden is a particular feature, mostly laid to lawn and landscaped with a large sunny raised patio area. The longer than average garage is a great addition hidden behind double wooden gates and having power and light connected. 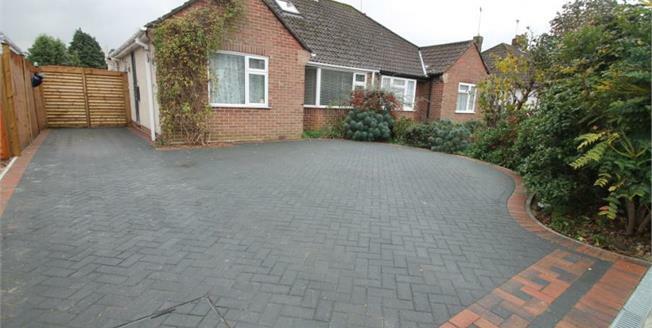 The front garden is laid to brick paving providing ample off road parking for several vehicles.